If you’re a fan of online gambling and particularly like to place multiples and accumulators, then you’ll be pleased to learn that doing so at Unibet could not be simpler. In fact, the whole accumulator building and bet placing process takes a mere matter of moments and is explained step-by-step below. Whether you’ve already got a Unibet account but don’t know how to build an acca or if you’re brand new to the bookmaker, we’ve got you covered and will now explain exactly how to place an accumulator on Unibet. Find your sport using the menu. Explore the markets to find your chosen bet/bets. Click odds to add to slip and repeat until all bets are added. In the combination tab of bet slip use Fivefold box (if 5 picks) to enter stake. Hit place bet to complete. It couldn’t be quicker or simpler to register with Unibet and if you do, you could also benefit from their new customer offer (£30 welcome bonus). Once you click the link above you will be taken step-by-step through the registration process which involves filling out a few pages of a simple online form. Once you have done this you are eligible for the £30 welcome (applied to your first wager) and ready to place your acca. 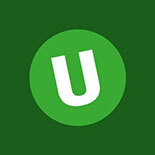 Head to the Unibet homepage at unibet.co.uk, enter your user name and password into the boxes provided at the top of the page and then click the ‘Log In’ button found next to them. You can also click the ‘Forgot?’ link to the right of the password box if your login details have escaped you. You then need to begin the process of locating the sport and event/s from which you want to choose the selections for your accumulator. For the purposes of this guide, we will assume that we want to build a Premier League football accumulator. With that in mind, the next step is to click ‘Football’ from the Sports menu found down the left hand side of the home page, and then to click the green ‘England/Premier League’ link wherever it can be found within the black box displayed in the centre of the page. That will display a list of upcoming fixtures in the Premier League by date and you can then begin building your accumulator. To do so, all you need to do is to click the odds displayed for the first selection that you want to place within your acca. That then places the selection on the bet slip which is displayed toward the top right hand side of the page and you can repeat that process for as many selection as you wish to include within the acca. As soon as you have added more than one selection to the bet slip, the slip will automatically revert to the ‘Combination’ display which will show all of your selections followed by the total odds for an accumulator featuring all of them and a box to input a chosen stake. Once you have finished adding selections then, all you need to do is to type your desired stake into that dialogue box and then click the ‘Place Bet’ button beneath, which turns red once you have entered a stake. Whilst Unibet do offer a cash out feature that they choose to name ‘Ca$h In’, it is not actually one which is applicable to any accumulators. It is only available for in-play betting and can only be taken advantage of in the case of single bets and not multiples or accas. Once you have placed an acca with Unibet therefore, you will have to let it ride all the way through to the end.